I am putting on my big girl Tiara and fessing up. I’ve lied. Sort of. In an earlier post I believe I said I rarely, if ever use cake mixes. I don’t to make cakes. However, cookies are a different story. One of my favorite cookie bar recipes starts with a yellow cake mix. As I said last week, my son and I are settling into a new routine and I haven’t tried many new recipes in the last couple of weeks. We’ve been knee-deep in baseball practice and I’ve been just a little lazy. Quite honestly, my son’s picky, 11-year-old taste buds are quite happy with frozen chicken nuggets or a quick homemade pizza. So today, for lack of anything new or earth shattering to share, I thought I’d post one of my oldies but goodies. 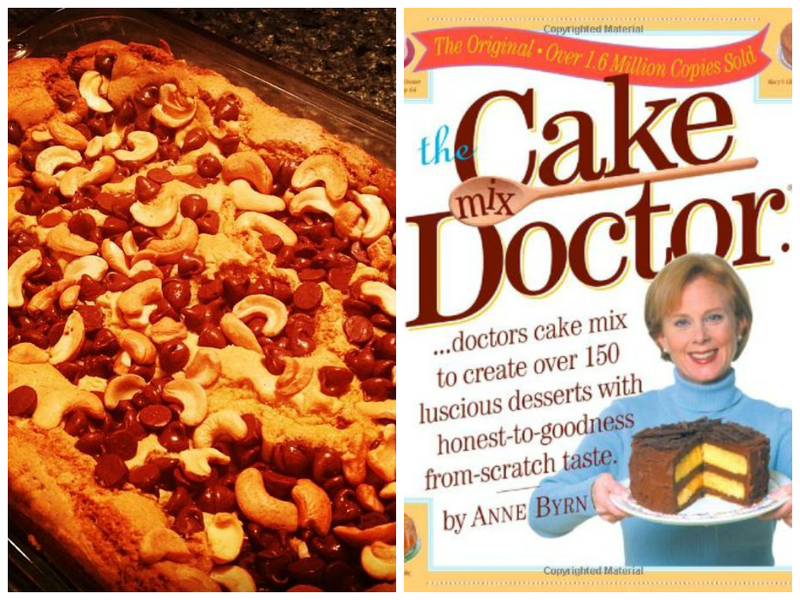 This recipe for Butterscotch Cashew Scotchies came from one of my favorite cookbooks — The Cake Mix Doctor. Since I am already married and so is “The Cake Boss,” I think I want to be the author of this book, Anne Byrn, when I grow up. Why didn’t I come up with this?? I have had this book in my collection for years and can’t remember if I got it as a gift or received it as a review copy years ago. Either way, I’ve had it a long time so I looked it up to see if it is still available. It is, along with several other versions of this book by the same author. I may have to invest in The Cake Mix Doctor Returns or one of the other publications. There’s a gluten-free Cake Doctor and even a Dinner Doctor, among several others. I want them all. As a bonus, she even has a website (linked above) full of recipes and wonderful tidbits. I don’t know why I never thought to look it up before. Here’s a link to The Cake Mix Doctor on Amazon.com. This recipe for Butterscotch Cashew Scotchies can be made with either butterscotch chips or chocolate chips. Of course, I have always chosen the latter. Come on y’all. If chocolate is one of your choices, is there another option? The recipe combines a cake mix, cashews, brown sugar and butterscotch or chocolate chips to make a wonderful bar cookie that is neither too gooey or crumbly. It’s just right. Again, this recipe came straight out of The Cake Mix Doctor cookbook. I cannot claim it as my own. And, to my friends who often request this cookie, you now know my secret! I have probably misled you, but I was so enjoying basking in the “glory” and praise I received when I made these. But now, we’ll move on. Place a rack in the center of the oven and preheat to 350. Set aside an ungreased 13×9″ baking pan. Place the cake mix, brown sugar, melted butter, eggs, and vanilla in a large mixing bowl. Blend with an electric mixer on low speed for 1 minute. Scrape the sides of the bowl with a rubber spatula. Blend again on low speed for 1 minute. Transfer the batter to the pan, smoothing it out so that it reaches all sides. Sprinkle the cashew pieces and butterscotch or chocolate chips over the batter. Bake the cake until it is golden brown and a toothpick inserted in the center comes out clean, 27 to 29 minutes. Remove the pan from the oven and place it on a wire rack to cool for 30 minutes. Cut the cake into 24 bars. Remove the bars from the pan with a metal spatula, and serve. This is a personal preference, but I always very lightly spray my baking dish with baking spray. Again, I used chocolate chips. And, to be honest, occasionally I probably throw in a little more than a cup, or sometimes a little less. It depends on what I have on hand. This batter is very thick. I find it’s easier to spread with the back of a metal spoon lightly coated with baking spray. I lightly “pat” the cashews and chocolate chips into the batter. My oven is crazy, so I start checking the cookies at about 25 minutes, so I don’t dry them out. The recipe says to cut into 24 bars. It would drive my OCD side crazy trying to measure and get them all the exact same size, so I hold my breath and just cut. I couldn’t tell you how many cookies I wind up with. I like to cut them a little on the smaller side. Well hello y’all. I’ve been really lax lately in my posts. My plan is not going as I had hoped, but oh well. What do you do? .. let’s just roll with it. It’s Fat Tuesday, so Laissez les bons temps rouler! The dynamic at our home has changed slightly. My hubby has a new job three hours away, which means during the week we live separately. My son and I are getting used to a new schedule with one less parent during the week, which makes my Cooking, Crafting and Chaos journey a little more challenging as I look for ways to tackle all the projects I’d like to. But you know what? Bring it! I’m determined. I need my creative time. Today’s recipe should really have posted last week. We were recently invited to a Mardi Gras themed party. I needed a dish to take. I was looking for something quick and easy to prepare as we had several things going on. I ran across a recipe for King Cake Cupcakes that fit bill. First, I love, love, love to make anything in cupcake liners. These were super easy and they certainly fit the theme. I found them in a blog, Crave. Indulge. Satisfy., which was certainly fitting. I won’t reprint the recipe as it’s not mine and believe it or not, I made no changes to it, other than omitting the raisins and adding a little vanilla to the glaze. They were a hit at the party. You can find the recipe here. It’s basically crescent roll dough filled with a mixture of brown sugar, cinnamon and pecans. You wrap them up and bake them in cupcake liners, then top them with a yummy, sugary glaze. I topped them with purple, green and gold sprinkles, placed them on a purple tray and accented with Mardi Gras beads. Shhhhhh! don’t tell anyone how easy it was. It looked like I had really worked hard. Of course, I can’t leave well enough alone. As I was making these and pondering the cost of buying six, yes six, cans of crescent rolls (at roughly $2.10 a can) I decided I needed to try my hand at making homemade crescent rolls. This led to another baking adventure. Wearing my tiara and armed with my KitchenAid, I think I can do anything. Turns out I can! They really weren’t that difficult. I researched a few recipes. Based on what I had in my kitchen, I took several recipes and came up with one that worked for me. This was my final recipe. I haven’t actually figured out the final cost, but I know it was less expensive than the cans. **As I finalized this post, of course something went wrong. I’ve lost some photos on my SD card. Included was some of the photos for this blog. I was able to recover most of them, but not the photo of my King Cake Cupcakes. Even my tiara didn’t save me from this failure. Like I said, BRING IT!! 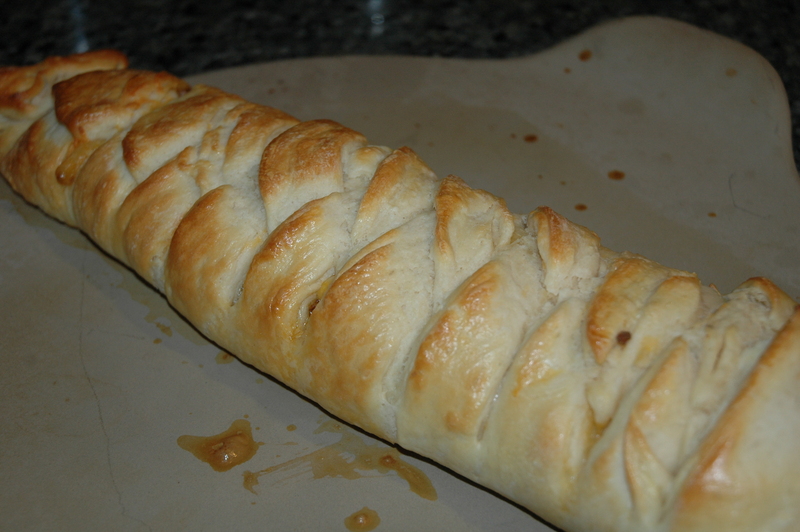 I do however have a photo of my crescent roll dough creation, below. In the bowl of a stand mixer combine yeast, water, milk and sugar. Let stand for 5 minutes, until foamy. Add in bread flour and salt and mix well with a dough hook. Cut the softened butter into three or flour pieces and drop them into the dough blending them in. Mix for about 2 minutes. Cover the bowl and let rise for 45 minutes in a warm place. Use a pizza cutter or a sharp knife to divide the circle into 12 triangles. Starting with the outside edge of one of the triangles, roll the edge towards the center (just like you do with the canned rolls). Once rolled, curve the roll slightly into a crescent shape and place on a parchment-lined baking sheet. Repeat with all rolls. Cover rolls with a clean dish towel and let rise for 20 minutes. Melt additional 1 T butter in a small bowl. Brush tops of rolls with butter. Cook’s Talk: I stopped after the first 45 minutes of rising and just rolled out the dough to make a taco “loaf.” I just filled it with taco meat and cheese. I didn’t start out to make that, but that is what I had in the kitchen on this night. I plan to complete the process to actually make rolls soon. It tasted much better than it looks in this photo. Crescent rolls have really always been a go-to for a quick, easy meal or party snack. They are great when my kitchen is low on groceries or we are in a big hurry. And, as a bonus, I can wrap anything in crescent roll dough or a tortilla and get my picky 11-year-old to eat it. The dough turned out beautifully and both hubby and child loved it. The moral of the story, I see many possibilities. And, as this was so easy, I don’t think I’ll be buying any more canned rolls. Coming soon, I think I’ll share some more of my favorite “crescent” recipes and even the cost of making them homemade. Today, I want to share something with all you chocolate lovers out there. That’s everyone, right???? I got to spend a wonderful weekend recently visiting with my daughter in her college town. While there, the weather became pretty dreadful. Taylor (my daughter) is enjoying having her very first apartment and learning to cook in her kitchen. We decided to stay in where it was warm one day and do some baking. 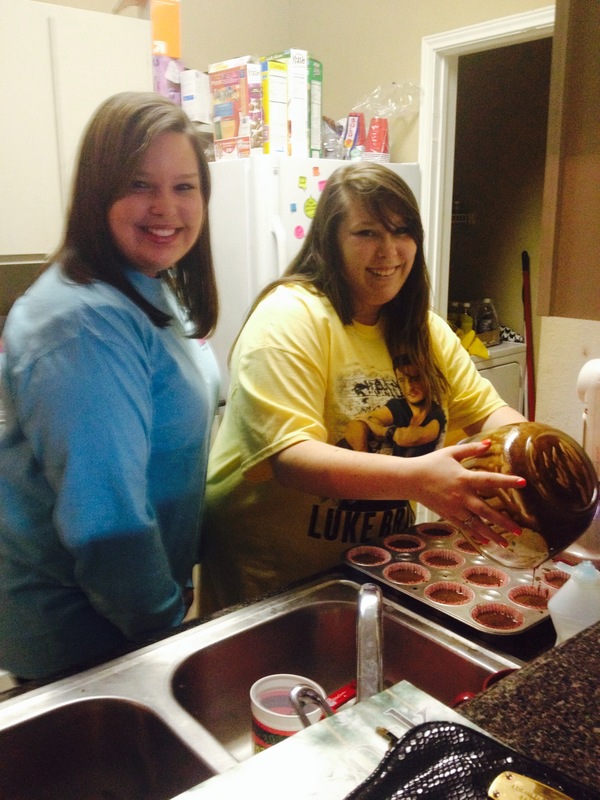 She and her friend, Kendall, took to Pinterest to find something they’d like to bake and the recipe they chose — Pinata Cupcakes — actually came from this Blog. I so enjoyed shopping with the girls to equip Taylor’s kitchen with everything she needed to make these, and then returning to walk them both through the baking process. They did a wonderful job. All I did was answer their questions as they went. I was so enjoying my time with them that I didn’t really focus on getting any great pictures, but I will share what I got. The recipe is definitely worth sharing, but warning it is very, very rich. I’m the epitome of the chocolate lover. I think chocolate, along with cream cheese and Cool Whip, should be a staple in every kitchen. You can cover anything in chocolate and it will taste great. I truly believe chocolate has healing qualities, and a balanced diet is chocolate in each hand. Even I, and my love of all things chocolate had to indulge in this cupcake slowly. I couldn’t eat the whole thing in one sitting. Preheat oven to 350 F. Prepare 12 cupcake liners in a muffin pan. Set aside. In mixer bowl, combine sugar, flour, cocoa powder, salt, baking powder and baking soda. Mix well. In separate bowl, combine the beaten egg, vegetable oil and milk. Mix well. With the mixer on low, pour the wet ingredients into the dry ingredients. Mix on low until well blended. Pour the hot coffee into the batter and mix on low until smooth. Divide the batter evenly into the cupcake liners (about 3/4 full). Bake for 20 minutes or until toothpick inserted in center comes out clean. Remove from oven and cool completely on wire rack. When cupcakes are completely cool, cut a cone shape out of the middle of each cupcake, reserving only the top of the cone for later use. Place the chocolate in a medium, heat-safe bowl. Set aside. Heat the cream and butter in small saucepan over medium heat. Bring just to a boil. Immediately pour over the chocolate and allow to stand for a few minutes without stirring. Stir or whisk gently until smooth. Refrigerate for at least 30 to 45 minutes to set. Fill the “hole” cut out of each cupcake with M&Ms. Cover the hole with the top of each cone that you previously cut out. Use a pastry bag with large tip to pipe frosting onto each cupcake. The blog, Abusymom’s Blog, is not an American blog. So many of the measurements were in grams. Whew! Above my plain-old-measuring-cup head, so we spent a lot of time Googling the conversions. A couple of them were probably just a tad under or tad over what they should have been, but the cupcakes turned out just fine. For the bittersweet chocolate for the ganache, we just used plain semi-sweet chocolate chips and it was wonderful! I will also reiterate her, REAL butter please. There shouldn’t be anything else. The original recipe also said preheat the oven to 160 Celsius. If I am correct, that is 320 Fahrenheit. My daughter has a college apartment. The best we could do on her stove was 350 F. They came out fine. And lastly, back to converting. We just bought a big ole bag of M&Ms. I was tired of trying to convert grams to ounces and cups and sticks by this time. We put a few in each cupcake and whatever was left in the big bag I am sure was gone with 10 seconds of all her roommates coming home. Also, make sure you let the cupcakes cool completely before putting the M&Ms in. If they melted, it would kind of ruin the Pinata effect. When I first started this blog, I pledged to myself to share the good, the bad and the ugly — whether it be cooking, crafting, organizational or life attempts. Whatever it may be, I plan to be an open book because, well, this is a journey to where I want to be. In today’s A’Tempting’ Tuesday installment, I have both — the good and the bad. I love to bake. I love to try new things. I am always looking for new dishes and new baked goodies. I have two that I recently tried. My hubby is diabetic with a sweet tooth. I am sure it is complete holy hell for him because I bake. A lot. I’ve mentioned many times that baking is a great stress release for me. I’ve been really stressed lately, so there’s been a lot of late-night baking. I have really been making an effort to find more diabetic friendly recipes. I’ve not come up with too many that I would call a success. This one is no exception. I found a … yikes, I hate to say it … BOXED chocolate cake mix that is sugar-free and not too bad. I hate using boxed cake mixes so I cannot add insult to injury and also use an already-prepared frosting. 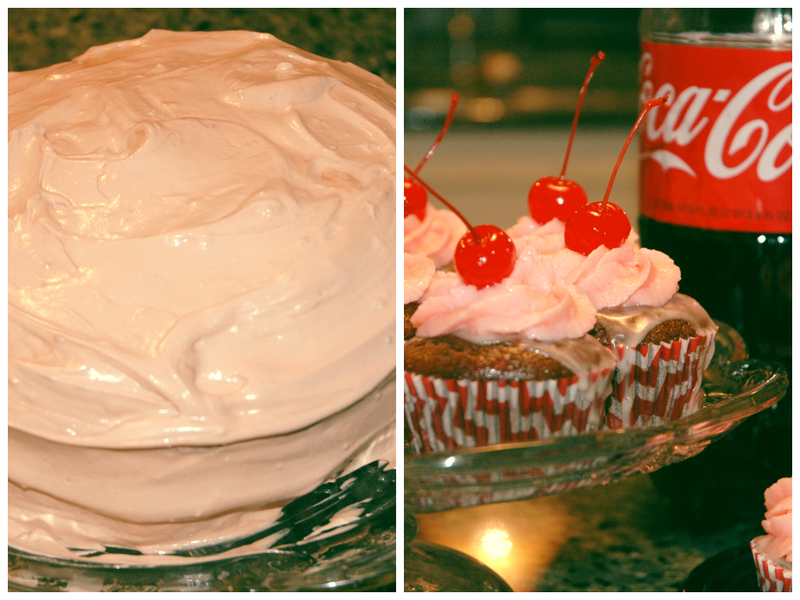 I found several easy recipes for sugar-free frosting that sounded promising. Here’s the recipe I tried (I found it on All-recipes.com). The result was pretty. It tasted just okay and didn’t really work well with the cake. I’d say this is one I will not try again. The consistency was a little like a thin mousse, and way too thin to frost a cake. It would make a better dessert or filling, than a frosting. In medium bowl, combine milk and pudding mix. Mix well and let stand until thickened. In large bowl, beat cream cheese until smooth. Add pudding and mix well. Fold in whipped topping. As I said, this probably will not be a repeat. But if I were to try it again, I think I’d cut the milk in half in hopes of making it more of a frosting consistency. It might also be better in vanilla. With the added cream cheese and whipped topping, it really wasn’t chocolate enough when paired with the chocolate cake I baked. The best option would be to prepare an actual frosting, rather than use the pudding as s shortcut. I’ve found a couple of others I will try soon. Now, on to THE GOOD. My children’s birthdays were last week and I decided to make cupcakes. Cupcakes are so much fun and you can do so much with them. I also love to find all sorts of colorful liners and creative wraps to make them unique. The original recipe came from this BLOG. Preheat the oven to 350 F. In a bowl, combine the flour, sugar, baking soda and salt. Beat the egg, buttermilk and vanilla in a second bowl. In a saucepan, boil the cola and cherry syrup gently for 5 minutes. Remove from heat and melt in the butter and cocoa powder. Pour into the dry ingredients, stir well with a wooden spoon, and then add the remaining liquid ingredients, beating until everything is blended. 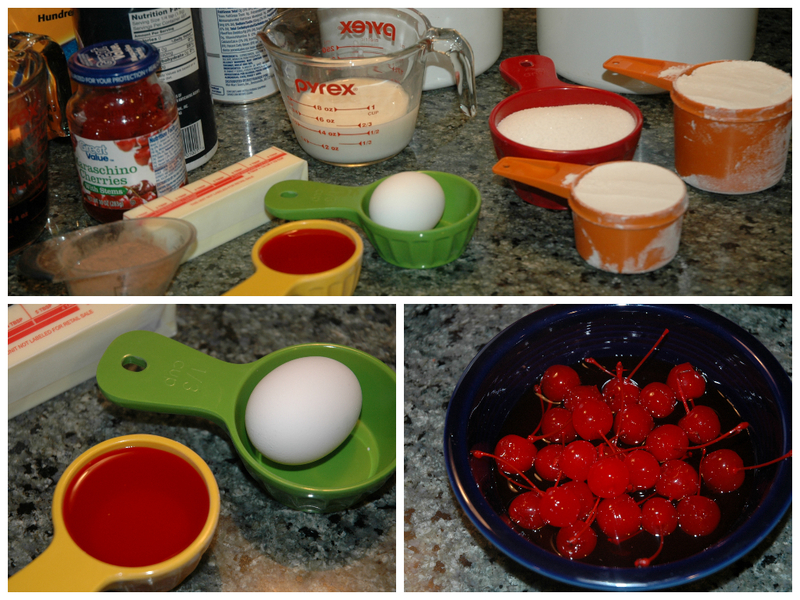 Pour into the cupcake pans with liners and push a cherry into the center of each cupcake. (Make sure to remove the stem). Bake for 15 minutes or until a cake tester comes out clean. Remove from oven to wire rack to cool. 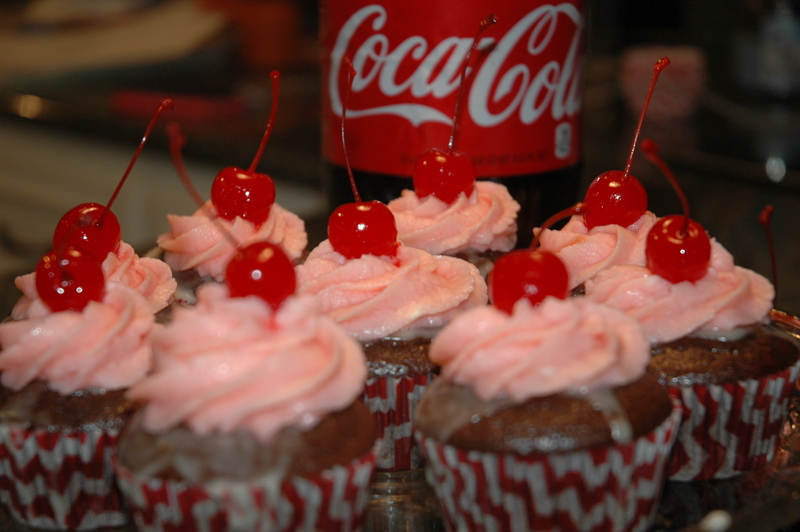 For the cola icing, mix the powdered sugar and cola with a spoon until smooth. When the cupcakes are cool, remove them from pan, drizzle with the cola icing and let dry. Top with cherry buttercream and a cherry. Cream butter in stand mixer or with hand mixer. Add powdered sugar a little at a time, alternating with the cherry juice and heavy cream. Add salt. Continue beating for 3 minutes. 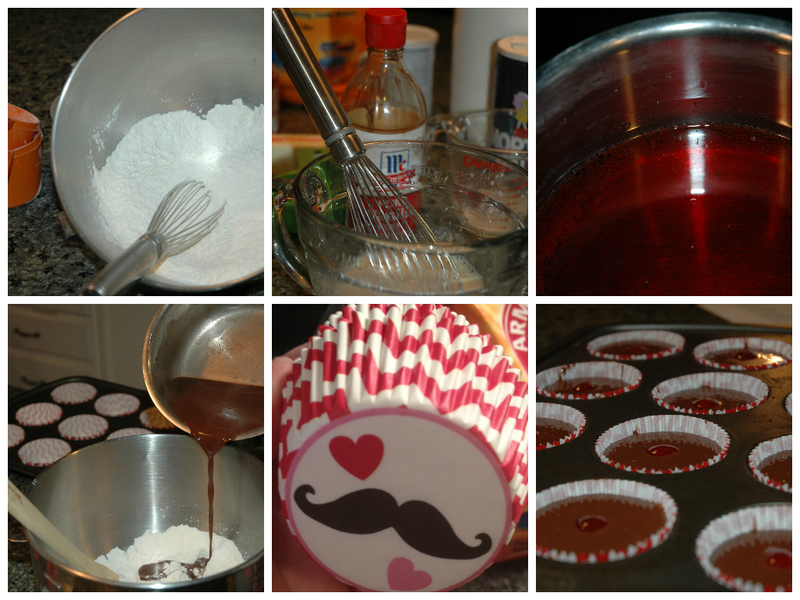 You will want a medium consistency (somewhat soft, but slightly stiff) for topping your cupcakes. You can easily adjust this frosting if you feel its consistency is not quite right. To thin, add more cream. To stiffen add more powdered sugar. 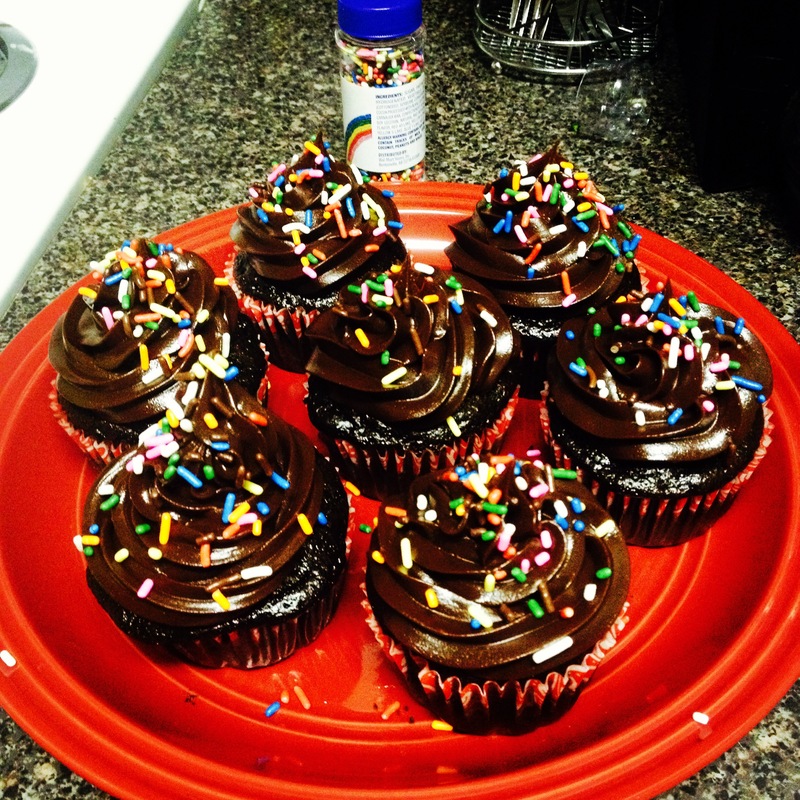 I used a frosting bag and larger tip to pipe the frosting on the cupcakes. And, again …SO DARN CUTE! They were a hit with my kids and the leftovers were wiped out by hubby’s coworkers in about 5 minutes. The batter for this cupcake is really thin, but don’t worry. It bakes just fine and results in a really moist cupcake. Because all ovens are different, I started checking for doneness at about 12 minutes, but wound up baking for the entire 15. Of course, I forgot the buttermilk at the store. To substitute, I used 1/2 cup 2% milk (because that is what I had on hand) and added 1/2 Tbs white vinegar. I let it sit for 5 minutes and voila … a great substitute for buttermilk that saved hubby a last-minute trip to the store.